Rochester Institute of Technology undergraduates are making a “compass” for rockets using a new kind of detector technology. The instrument will fly on a NASA technology demonstration mission later this year. The student team is designing, building—and deploying—a telescope and camera that will orient the rocket payload based on the images of stars. RIT’s Cryogenic Star Tracking Attitude Regulation System is funded by a $200,000 grant from NASA’s Undergraduate Student Instrument Project Flight Research Opportunity program. The NASA program is designed to give undergraduates experience developing and flying experiments relevant to NASA’s mission. RIT professor Michael Zemcov proposed the experiment to test detectors made of metal-oxide semiconductor, or CMOS, a promising new material that can operate at liquid nitrogen temperatures, minus 320 degrees Fahrenheit. These cryogenic temperatures can significantly reduce dark current in the sensor and increase instrument sensitivity. In contrast, the standard technology used in astronomical imaging and in consumer electronics—charge-coupled detectors, or CCDs—is inoperable at cold temperatures. RIT’s prototype represents a step toward a fully cryogenic optical detector that someday could improve the sensitivity of NASA’s deep-space cameras, said Zemcov, assistant professor of physics at RIT. The star tracker will fly in a technology demonstration payload on a suborbital sounding rocket that will launch in December from NASA’s Wallops Flight Facility on Wallops Island, Va., with experiments from other universities and NASA laboratories. Sounding rockets are cousins of military ordnance, like surface-to-air missiles, which fly to an altitude of approximately 200 miles, and represent an affordable way to conduct science experiments in space. Following a successful initial flight, a second RIT-built instrument will fly on a NASA rocket experiment to measure the light from faint and distant galaxies. The Cosmic Infrared Background ExpeRiment 2, or CIBER-2, is led by the California Institute of Technology. 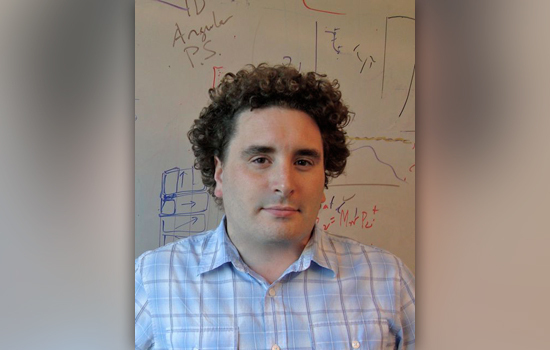 Zemcov is a member of RIT’s Center for Detectors and the Future Photon Initiative and a co-investigator on CIBER-2. The RIT student team brings the specialty of several disciplines to the project. Everyone has a job: Kevin Kruse, a fifth-year BS/MS electrical engineering major from Port Jefferson Station, N.Y., is the electrical engineer and team leader; Chris Pape, a third-year student in the BS/MS program in mechanical engineering technology/mechanical and manufacturing systems integration from Douglassville, Pa., is the mechanical engineer; Benjamin Bonder, a fifth-year BS/MS electrical engineering major from Geneva, N.Y., is the computer engineer; Poppy Immel, a fifth-year BS/MS dual-degree major in computational mathematics and computer science from Castleton, Vt., is the computer scientist; Matthew Delfavero, a third-year physics major from Annapolis, Md., is the physicist; and Hyun Won, a fourth-year international business student born in South Korea and who grew up in Ann Arbor, Mich., is the project manager. Most of the students are using the project as co-op experience. The team’s mentors are Zemcov; Dorian Patru, professor of electrical engineering; and Chi Nguyen, a Ph.D. student from Vietnam in the astrophysical sciences and technology graduate program.